These tilting parasols will add a colourful finishing touch to your garden furniture whilst providing cooling shade on hot summer days. 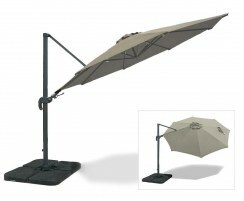 These tilting garden umbrellas are fully adjustable so everyone is sure to get their share of the shade. Tropical sun is no match for our superb range of high quality tilting patio umbrellas – browse our full range below and order online today. 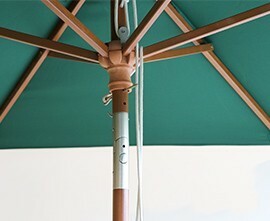 These tilting parasols are available in a range of bright colours, sizes and styles to suit any outdoor setting. 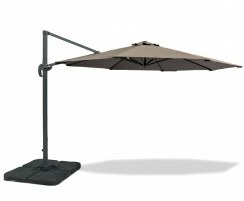 With strong poles and air-vented canopies for increased stability, these quality tilting garden umbrellas have been built to last. 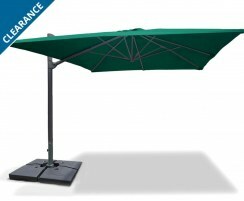 Suitable for use at home or in pubs and restaurants, these tilting patio umbrellas will shield you and your guests from the sun's harsh rays allowing you to dine in comfort.